Nytrex Slider Dock Bumper Combo - the ultimate sliding dock bumper solution! 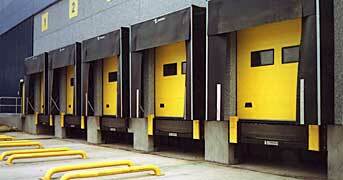 Nytrex® Sliders allow movement when the vehicle is being loaded and unloaded... longer dock bumper life. PERFECT FOR AIR SUSPENSION TRAILERS. Simply turn the Nytrex® bumper upside down and back to front for 4 times the wear AND maximum cost effectiveness. 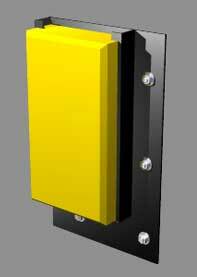 Available in any size and shape (see picture), for protection against trailers docking above dock – preventing costly building damage. and gives extra building protection.
. (Nytrex® only, not the fixings). No wires, wheels or pulleys to wear or fail. NYTREX® PRODUCTS ARE WIDELY USED ACROSS NORTH AMERICA! 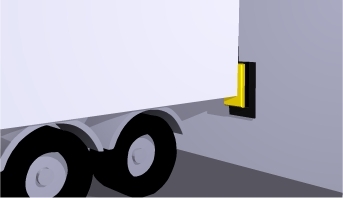 These are some of the many North American companies already benefiting from Nytrex® Dock Bumpers and Trailer Plates.